It can take former homeowners at least 10 years to recover from a foreclosure action and regain the ability to re-enter the housing market — if they ever do. According to a recent article on ERate, the impact of the recent wave of foreclosures goes far beyond the simple fact of losing a home due to nonpayment of a mortgage. And investors who buy foreclosures may be making a difference far beyond the simple purchase of a property with investment potential. As virtually everyone knows, the flood of foreclosures began to hit the housing market after the subprime mortgage crisis of 2008, when record numbers of homeowners found themselves unable to make the payments on a mortgage that had seemed so easy to get. Those foreclosure actions, and the ones that followed, put thousands of ex-homeowners into rental housing – in many cases, permanently. The houses themselves entered the housing market in several ways –as traditional individual listings, on auction, or in bulk sell-offs by lenders such as the government’s Fannie Mae and Freddie Mac. 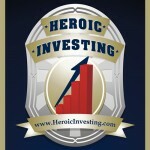 From there many were snatched up by investors looking for low-cost properties. But the hidden costs of foreclosures went beyond the individual homeowner. According to ERate’s Broderick Perkins, large numbers of foreclosures in an area takes a toll on the overall economy of a neighborhood or region. The presence of these foreclosed homes raises a red flag to would-be developers and providers of services, signaling an area headed downward, with no hope of a quick recovery. That creates a vicious cycle of vacant foreclosed houses in a blighted neighborhood, which leads to less development and more foreclosures and abandonment. 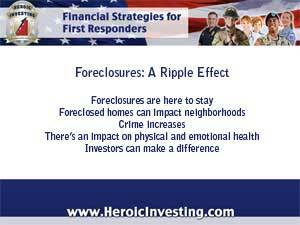 Other hidden costs of foreclosure have also been documented. Among them: increased crime rates in areas with high rates of vacant, foreclosed homes, poorer physical health among those who have lost homes to foreclosure, and even poorer school performance among children whose families have gone through foreclosure and the resulting upheaval. And, since for many people, a home has been a key piece of inheritance, a foreclosure also impacts generations beyond the immediate family facing the loss of their home. Some areas, particularly those in relatively depressed cities, face a harder struggle to get help such as mortgage debt relief or refinancing help too, making foreclosure a more likely outcome than a bailout. And while these former homeowners contribute to the burgeoning rental market, credit and income problems continue to dog them for years to come. All this, combined with relaxed rules on making short sales to get out from under a mortgage problem, means that the ancillary effects of the foreclosure process are going to continue to impact families and neighborhoods for a long time to come, regardless of the state of the housing recovery. In many markets, this means that heroic investors who buy foreclosures as income property as Jason Hartman advises may be doing more than securing their own economic future. With a commitment to the long term for maximum return on the investment, these investors contribute to the economic recovery of neighborhoods and the families who live there.